Gillingham midfielder Regan Charles-Cook could be back in contention for the home game against Bradford. Charles-Cook had been hoping to return for the midweek defeat at Plymouth after missing the previous four games due to an ankle injury. Forward Brandon Hanlan (hamstring) and midfielder Dean Parrett (ankle) will be assessed after being sidelined for four and two matches respectively. Midfielders Bradley Garmston and Brad Stevenson, plus defender Alex Lacey are among those pushing for recalls. 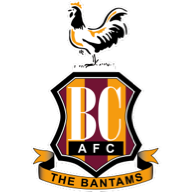 Bradford will be without suspended pair Ryan McGowan and George Miller. Australia defender McGowan serves a one-game ban for reaching five yellow cards and Miller was sent off in the midweek home defeat to Coventry and also misses one match. Forward Alex Jones will also sit out. He stepped off the bench as a second-half substitute, but was forced off with a hamstring injury. Winger Sean Scannell will return to contention after completing a three-game ban but midfielder Jim O'Brien (hamstring) and defender Adam Chicksen are still out. Gillingham are winless in their last four matches against Bradford in League One (D2 L2) having won each of the three prior to this. Bradford City will be looking to win three consecutive league meetings with Gillingham for the first time in their history; they won both games against the Gills last season by a 1-0 scoreline. 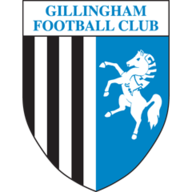 Gillingham are without a win in their last five home league games (D1 L4), since beating Burton Albion 3-1 at the Priestfield Stadium in their opening home game of the season. Bradford have lost more games than any other sides across the top four tiers of English Football so far this season (11/15). Gillingham's Tom Eaves has scored three goals in his last five League One games after a run of five games without a goal.